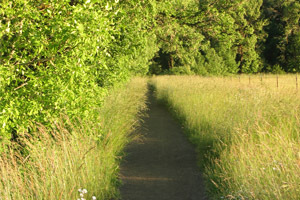 The very first property ever protected by Greenbelt Land Trust, this 41-acre portion of the larger 284-acre Bald Hill Natural Area system was acquired in 1990 and later donated to the City of Corvallis in 1993 while Greenbelt retains a conservation easement on the land. The trails on this property take you to the top of Bald Hill, offering an incredible vista from the coast to the cascades. Bald Hill Natural Area is truly beloved by our community and is at the very heart of Greenbelt Land Trust. 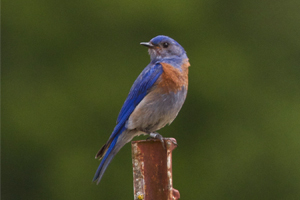 Focal and priority species that use this property include prairie plants, western gray squirrel, western bluebird, acorn woodpecker, white-breasted nuthatch. Nelson’s checkermallow (threatened) and Willamette daisy (endangered) are present on the property. Bald Hill Natural Area is part of a vast 1,200-acre footprint of protected lands, including Bald Hill Farm, Lupine Meadows, and Fitton Green Natural Area. The purchase of this portion of Bald Hill Natural Area was enabled through an incredible community campaign, the prior landowners, funds loaned through The Nature Conservancy, and a partnership with the City of Corvallis. 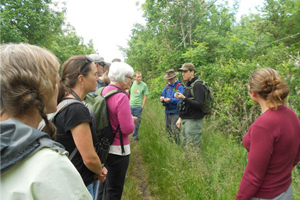 The City of Corvallis, Greenbelt Land Trust, The Nature Conservancy, the Institute for Applied Ecology and other individuals and organizations have been working to enhance and restore the oak woodland and prairies of Bald Hill. A significant approach has been the use of fire which was a historical disturbance process that helped to maintain native prairie communities by limiting the encroachment of woody plants. Bald Hill Natural is publicly accessible. For a full list of trails, visit The Right Trail – your local resource for trails in Benton County!